When in bike trip, we would like to share his adventure easily with photos and tales of adventure, all without having to explain every time when the photo was taken or what route we followed. When following a bike traveler, we would like to know where it is located and what route he followed. 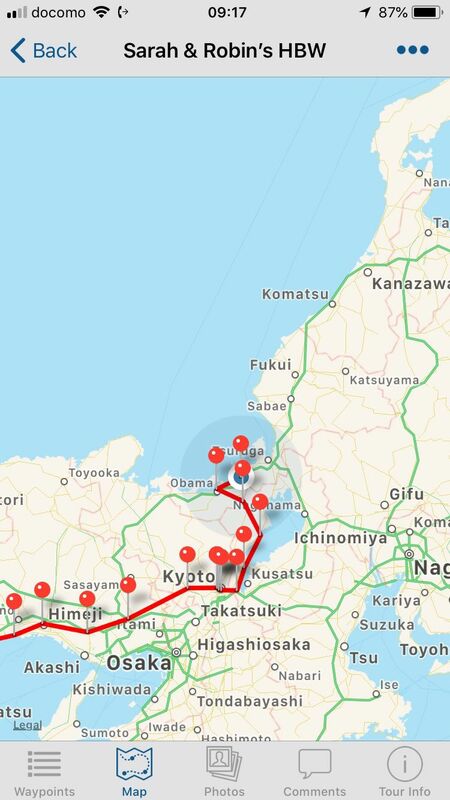 All this is possible through TrackMyTour which is both an application iOS and Web. This service is free for the first two cards. 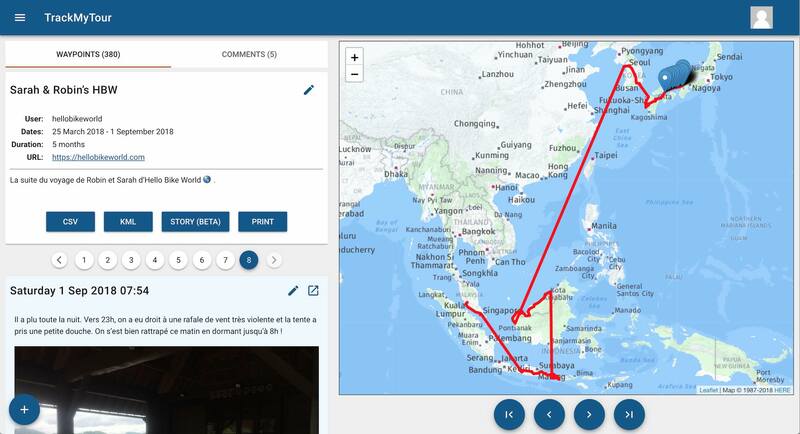 The strength of TrackMyTour, is to be very fast to create a point on the map. 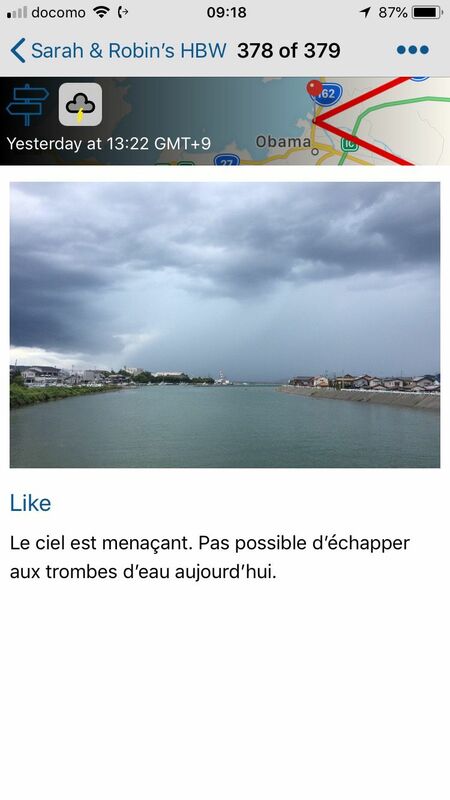 Just take a photo, who will be geo-localized and dated, write a small text if desired and upload the point on the time or save this point to the poster when you will be connected to internet. We can easily manually adjust the position and date if the tags are missing from picture. When several points on the map, these are connected by a line and the ride takes shape. obviously, there will be more points, more representation of the route will be accurate. One can create his card from the website of TrackMyTour and therefore TrackMyTour is also accessible to Android users from the website. The only advantage of being on iPhone, This is to prepare the points offline for the post once you're online again. Creating a new "waypoint" (way point). 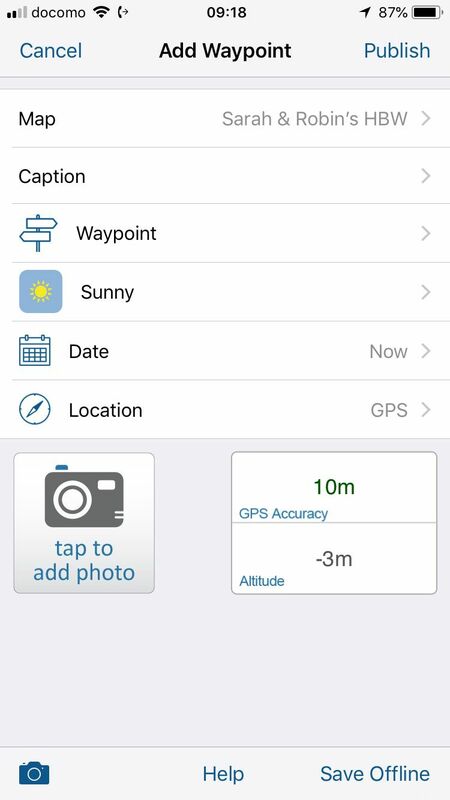 You can add a text, the point type, weather and manually set the date and position if necessary. 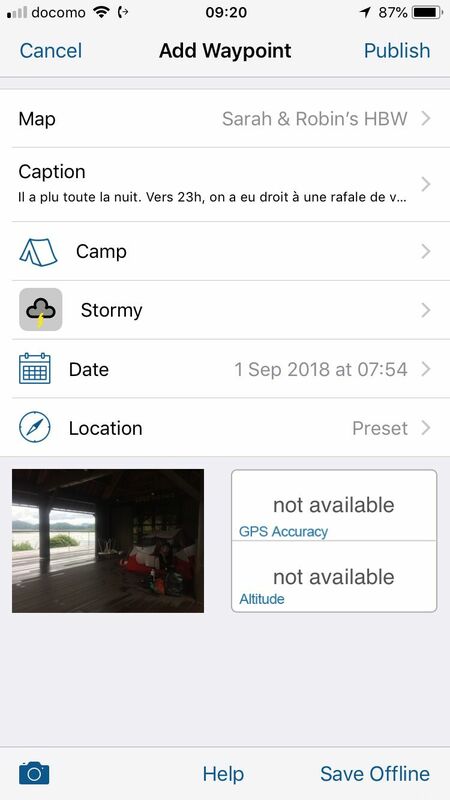 When taking a picture directly from the app or as a picture from its library is chosen, TrackMyTour automatically retrieve its GPS data and the date the photo was taken. Once the data has been completed, we can choose the button "Publish" top right to send the item or save it offline by pressing down on the right to "Save Offline". Then we could easily send all points will be offline when connected to the internet. One can see a nice view pictures tiles. If you want to share a specific point, iOS only allows today (31 August 2018). 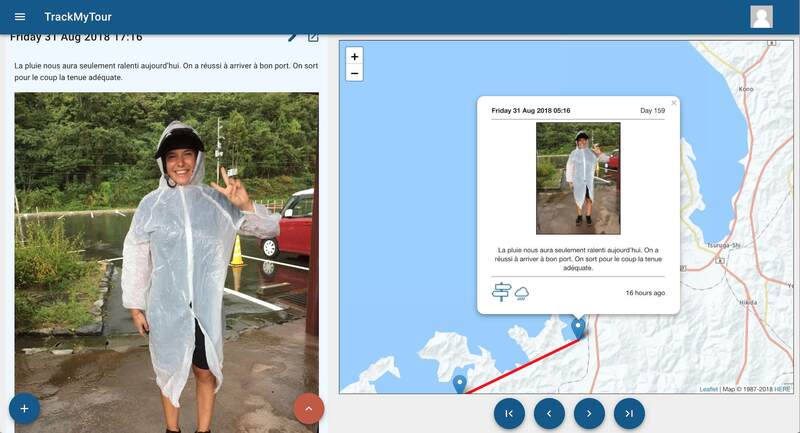 Version Web TrackMyTour, that is responsive and therefore both viewable on a computer than on a tablet or smartphone. 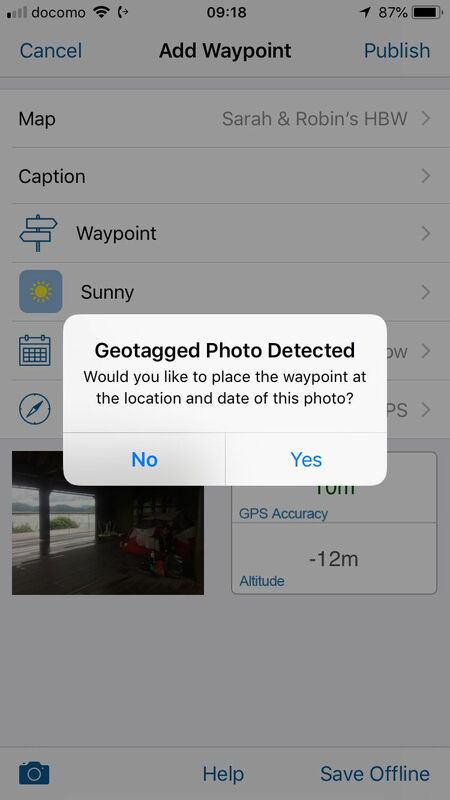 By sharing the map link to your friends or your family, they can easily hear from you with pretty pictures and texts related to your gallery. slowness problems finding the timezone when the internet connection is poor or nonexistent. 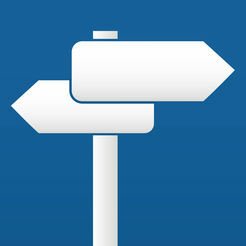 TrackMyTour is a great web application + iOS that thanks to its simplicity proves to be very efficient and quick to use. 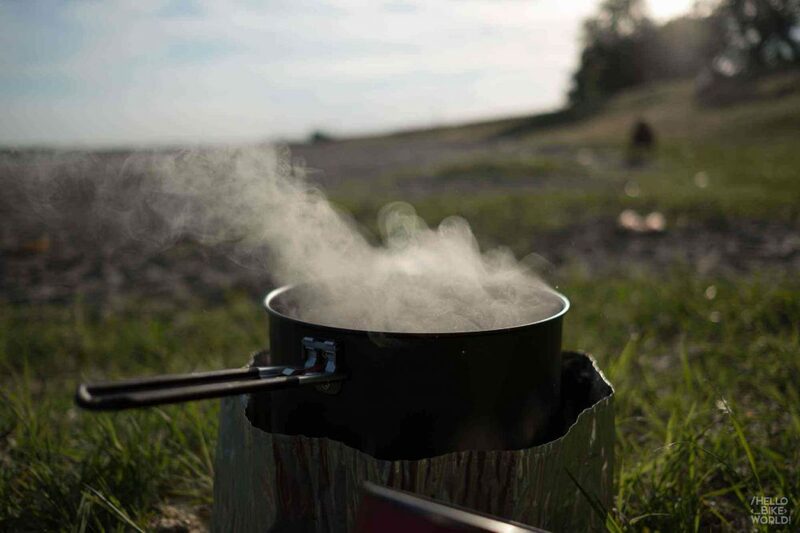 In my travels, I use it every day and it takes me very little time, it is a pleasure to use. 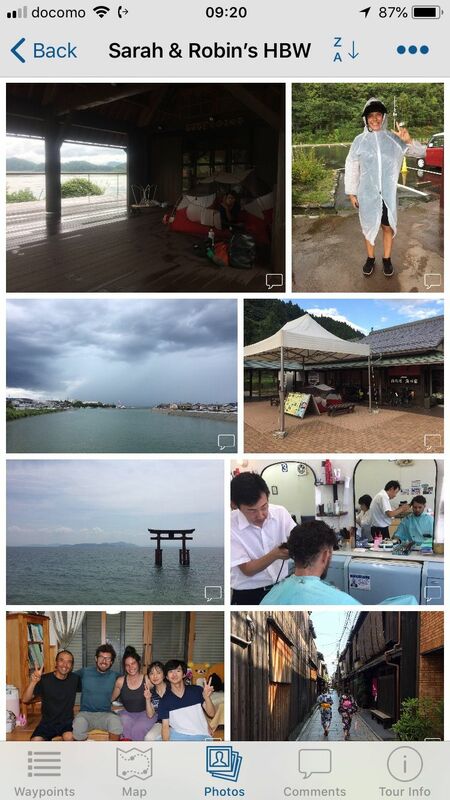 My family and friends are also very happy to follow the journey through the photos and easily see the path. The bike with you I miss it already…but I'm with you closely track my turn to make up ! Little question : es that leave you more photos on Instagram (thank you send me the link) ? Or you plan to put foremost on your site ? App available on android unfortunately not :-(. I found an alternative: Tripline but have not yet tested in travel. Thank you for your interesting ! Thanks for the comment. For users of android, the only current solution, this would be to use the website which is quite practical and ergonomic, even on phone. The only limitation with respect to the iOS app, it is not able to save points offline.